What is the minimum money I need to start stock trading in India? What should be the ideal amount to start investing in the Stock Market? I want to invest in stock market but I do not know how much to invest? What should be the minimum amount can I invest in stock market for long term? I want to invest in stock market, but I don’t have much money. Is there any any minimum number of stocks that I must buy? The general answer to all these questions is ‘there is no minimum money required to start investing in the stock market in India’. You can buy stocks for even less than Rs 10 also if you find an interesting one (Indian stock exchanges BSE & NSE has a number of stocks pricing less than even Rs 10). You don’t need to have thousands or lakhs to start trading in India. Any amount from which you can buy a stock is decent enough to start trading, no minimum money to start trading in stock market required. Here is a list of 10 popular companies whose stock prices are less than Rs 100 (as time of writing this post). So, the answer to the question of ‘what is the minimum money I need to start stock trading in India?’ is that there is no minimum money limit required for starting stock trading in India. However, is this all that you wanted to learn from the topic of the post? I don’t think so. The next big question should be then ‘How much should I invest in the stock initially -if there is no minimum money I need to start stock trading?’. The answer is that if you are new to the market and still in the learning phase, it is always recommended to start small. Invest as low as possible and focus on learning. Anything between Rs 500- Rs 1000 is good enough. You really don’t want to lose thousand of money at the start of your investment journey (and then promising angrily to yourself that you won’t ever return to the market). But, this doesn’t mean that you should take this amount as a strict rule for your initial investment. Suppose, if you found a stock, which is bit costlier, say Rs 1200. But you have done your homework, read the stock fundamentals, and are confident that the stock will give a good return in the future, then, you should go for it. Anyways, as a thumb rule for the beginners, anything between Rs 500- Rs 1000 can be used as the first stock market investment amount. Failures are the best teachers. From your first investment, you will learn a lot. Remember, it’s not always about winning. You should always remember this famous quote ‘Sometimes you win, & sometimes you learn’. Further, from your first investment, you will learn more important things. You will learn what things to do and moreover, you will learn what things not to do. Besides, losing a small money won’t affect your morale and you can come back in the game again, and next time even more prepared and informed. On the other hand, if you win i.e. the stock performed well, then congratulations. You have done a good job! Your first investment teaches you a great lesson if it is a failure. On the other hand, if your first stock is a winner, it gives a tremendous joy and becomes a memory for the lifetime. Both ways, you’re gonna receive something. Either a lesson or joy. For beginners, I will suggest following their stock portfolio for three-five months before investing heavily in the market. 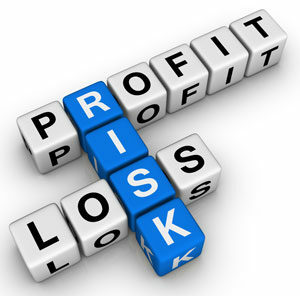 The initial big profits on your stock might give you a great confidence to keep buying additional stocks. But you shouldn’t be greedy at that moment. You must remember that for beginners, it’s more important to learn how to do value investing, that to earn money. And once you have learned the basics, the game is yours. For example, Let’s say your age is 20 and your total savings till date is Rs 1000. Then, the amount that you should invest in the stock market should be (100-20) = 80% of your total net worth. In other words, you should invest Rs 800 in the stock market if you are of age 20 from a total saving of Rs 1000. You can read the complete post about ‘100 minus your age rule’ here. 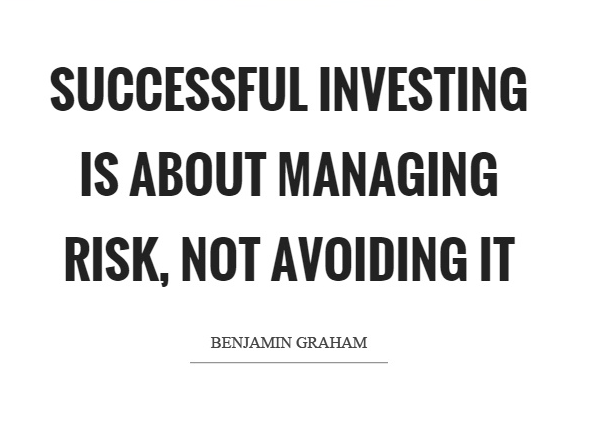 This is another popular rule for beginners to reduce the risk while investing. The rule says to invest the only x/3 amount in the beginning if x is the total amount you intended to invest in a stock. After a few weeks, you can invest your next x/3 amount to the stock if it’s doing good. And finally the last x/3 again after another few months. For example, if you intend to invest Rs 10,000 in a stock, don’t buy from the whole amount all in one go. Invest only 10,000/3= Rs 3,333 initially. 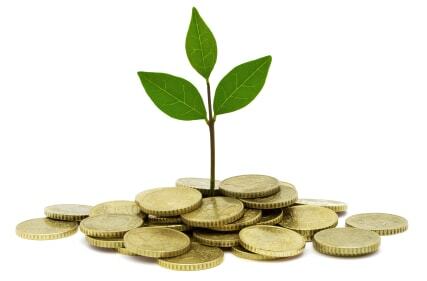 If you find your investment growing, then you can add Rs 3,333 in the next round of investment and the last Rs 3,334 in the final round. The rule greatly minimizes the risk and helps in averaging out the purchase price. Anyways, a minor problem with this rule it that it reduces the focused amount. Therefore, the final profit might be little less than expected if the whole amount was invested at the same time. 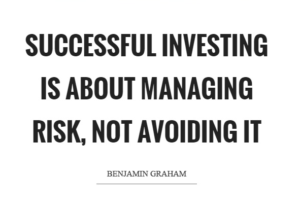 Still, it’s a great rule for a stock market beginners and helped a lot of newbies to reduce their risk and losses significantly. There is one more rule called the ‘75% profit rule’. However, it is more like a hypothesis that a rule. It states that if 75% of stocks in your portfolio are doing good, then you can invest further. For example, if you have bought 4 stocks and 3 of them are doing good, then it means that your strategy is working and you can increase your investment. The chances of all the stocks in your portfolio(4/4) working great is very limited. Even Warren Buffett, the greatest investor of all time, has some stocks in the portfolio which gives him negative returns. In short, if 75% of your stocks are doing great, it means that your strategy is good and it’s not the luck that is driving your portfolio. In other words, if you have only one stock in your portfolio and its growing fast, there might be a luck factor. But if 7 out of 10 stocks in your portfolio are growing, it’s more because you did your research correctly. That’s all. These are the basics tips and tricks for the beginners to invest in the stock market. Also remember the answer to the original question ‘what is the minimum money I need to start stock trading?’ is that there is no minimum money you need to start stock trading. That is no lower limit for that minimum money you need to start stock trading. One more thing I would like to add to this post. There are also some additional charges while buying a stock online and the buyer has to pay them. They are generally less than 1% of the amount of the transaction. The additional charges are brokerage charge, Service charge, STT etc. Therefore, you also have to keep these charges in mind during buying a stock. Although these are a very small amount, still they will add up in the final amount of the stock that you bought. Hence, for all those who are asking ‘What is the minimum money I need to start stock trading in India?’, the answer is that there isn’t a minimum money you need to start trading in India. Anything that suits you is good enough for the market. Any money at which you can buy a stock works fine for entering the market. 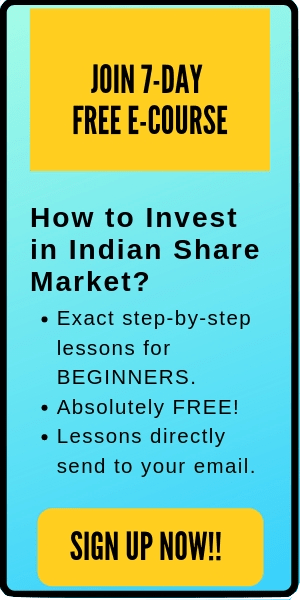 Any amount that you are ready to invest, is great to start stock trading in India. Lastly, I hope my post ‘What is the minimum money I need to start stock trading in India’ is useful for the readers. If you need any further clarification or have any doubts, feel free to comment below. I’ll be happy to help you out. Which Bank is Account one does require and what kind of Account is legible for investing in stock market ? Is there any video tutorial regarding stock marketing for better understanding..
You need to open a demat account in Banks like ICICI, HDFC, SBI etc. Zerodha is also a good option as it’s brokerage is quite less comparatively. Which service would you recommend to set up my first DEMAT account? 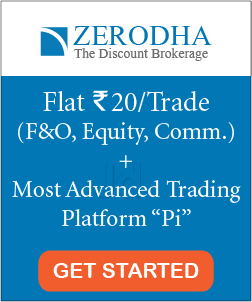 I will suggest to open account at a Discount Broker like Zerodha. The brokerage charge of discount brokers are quite cheap compared to full service brokers like ICICI Direct, SBI, Sharekhan etc. However, if you are not planning to trade frequently, you can can also open account in full service brokers. You need to open a demat account with the help of your broker. Yeah, first to start and grow our market we must understand the basic first like where to invest, how to invest? hoe much to invest?. See the company’s background has a search on it. Thanks for giving the basic idea that how much money we need to start stock trading. Can U able to tell the difference of intraday and like branch(because I have to buy stock then I have to sell after 10 or 1 month like that what type to chose on that type) can I do both at the same account (one share put intraday and another share for long term)..what are the major tems and rules from there . When you buy and sell a stock on the same day, it’s called Intraday. When you buy and hold the stock for more than 1 day, it is called delivery. You can do both Intraday and delivery trading on the same account. Read more here. Your blogs are excellent.Though I am more than double of your age. Still I believe there is no age of learning.I need to earn 50 to 60k per month and investment capacity 50 to 60K. Please suggest. Glad to hear your kind words. Like it’s said- ‘Age is just a number’. Surely you can invest and earn for the market. However, I will advise you to start small for now. Increase your investment as you gain knowledge & confidence. Hello…I Need To start From 10000rs…Soo is it posibble To Get Profit For me…. Yes. Rs 10K is a good amount to start. Keep investing. I appreciate you for your blog. Very nicely maintained with tons of information for the novice investors. Thanks a lot. Hi. You can read it on Zerodha website here. This article is very helpful and insightful for a person like me who wants to understand the basics of stock investment and had no idea where to begin. However, I also want to know whether there are legal procedures and formalities regarding stock investment that an individual investor has to abide by. No. You can even start investing tomorrow. All you need is open a demat and trading account. Further, do take care of your taxes. You can read about taxes in Indian share market here. Couldn’t have clarified that better. Fantastic article. Honestly i love this.Its very gud and it help me to understand about share market little extra and i also want to about swing trading like “how to start” & “what is the main difference between investing and swing trading”. So, Kritesh sir can you help me to understand share market better. thank you. How does one calculate the NAV. hi all my self a jeevan rao, never invested till now in stock market, but i am willing to do so. Please suggest me where i should open a demat account ? and if any advise you can give , please. Hi Mr Rao. You should open your account to discount brokers. One of the best options is Zerodha. I hope it helps. Hello,can you please explain how to invest small capital like below 1000rs.and where to invest which type of bank account is necessary. Hi Abdul. I have written a detailed blog post on how to pick fundamentally strong stocks here: https://www.tradebrains.in/how-to-select-a-stock-to-invest-in-indian-stock-market/ I hope it helps. Cheers. 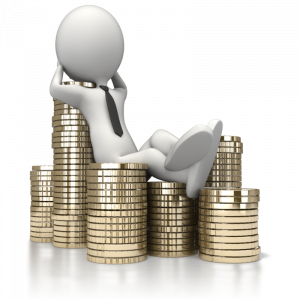 This blog defiantly solved the various difficulties of trader thanks for sharing! I have a demat account with Karvy…They want me to invest min ₹ 25,000/ to open a trading account…Are they right ?? I want to sell some shares that I hold..
Hi Priya. There’s no minimum limit to start investing. You can even buy just one share of Rs 100 or less. When I initially started investing, I was in college and most of my transactions were less than Rs 500. Please talk with your broker directly and ask why they are asking to invest min of Rs 25k? Are they charging for advisory or will they be investing on your behalf? In any case, you can ask them that you’ll be investing yourself and starting small, so no need to invest Rs 25k at once. I hope it helps. Cheers! Hey Kritesh, what do you think about using artificially intelligent trading bots to make the decisions for you. what do you think about using artificially intelligent trading bots to make the decisions for you. Hi Ramesh. I’m optimistic towards the introduction of AI in the investing world. They can make our research process a lot simpler. Nevertheless, I believe that the final call will still be in the hands of the individual investors and be investing blindly based on the AI results will not be a good idea. Anyways, it will be a great help to save time. Cheers!! Started trading last july i am not happy the way it is going. Failed to choosing the stock. Hi Sudhendra. I do not trade in future and options. I’m only involved in long-term and hence won’t be able to help you out. I read some of your topics today.Really I enjoyed them. I am not well qualified. I have got a goal.My Kuladaivam Temple is under reconstruction for KUMBABISHEKAM.I want to donate the maximum possible.I want to invest in shares and give all the profits to the temple bearing myself the expenses,taxes and losses.Can you help me to earn the maximum by your guidence and oblige.Time limit is more than one year.I do not want intraday trading or deraivatives I like only holdings,buy and sell.I can invest a reasonable amount of Rs.25,000 at present and increase gradually.I have a dmat a/c with Integrated India,Salem. Kindly email to me with your terms and oblige. hi,i thinking to invest some money in stock market,less than 500.I want to ask that after investing certain amount of money, is there any chance that they will ask more money from me in any circumstances. Say i want to invest 1000 rs should i buy 2 stock of 500 each or should i buy 10 stocks of 100 each??? Hi Mirinda. Always prefer quality over quantity. Invest in two good stocks which has a better return opportunity.